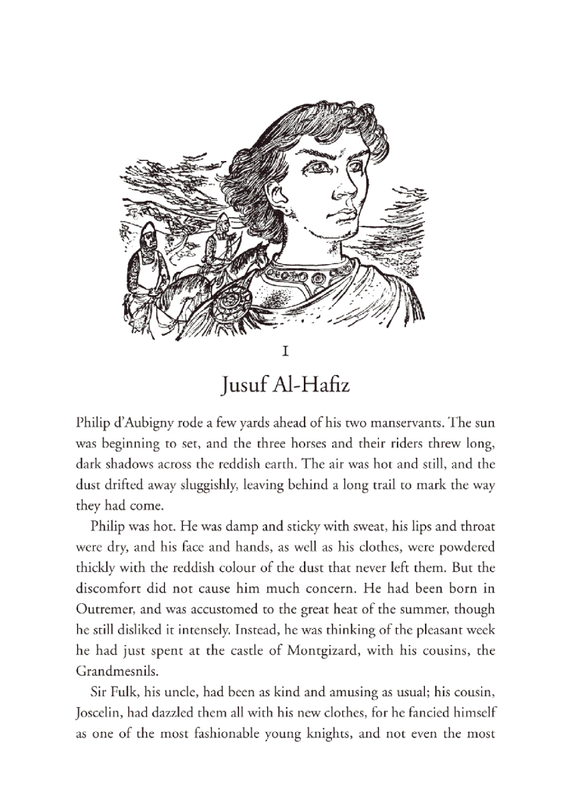 Philip d’Aubigny is a young knight-in-training who has lived all his life in a castle in the Holy Land. His grandfather came from Wales to the crusades and never went back. Now, after a long period of peace, the Saracen Saladin has raised an immense army to take back Jerusalem. An army of knights gather but the battle is a complete rout, and Philip sees his father, uncle and cousin die before he himself is captured. After four years as a household slave in Damascus Philip escapes to join Richard the Lionheart in the Third Crusade. 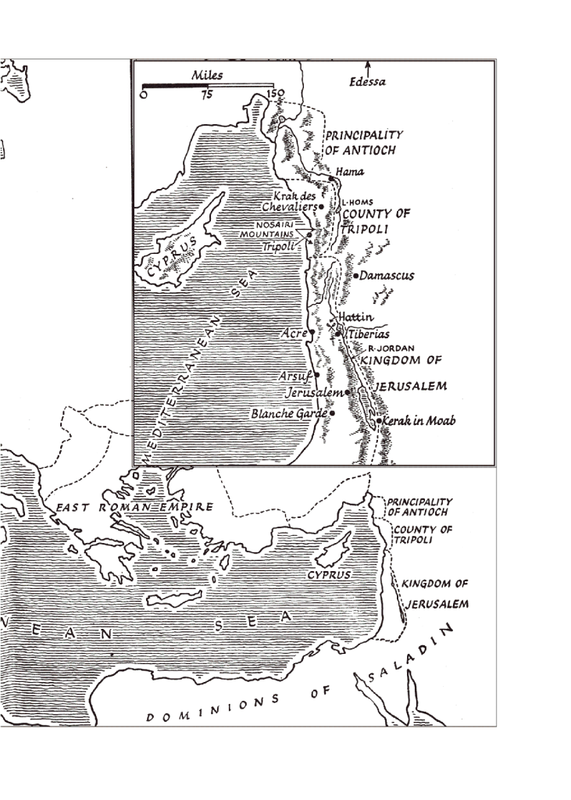 The Christians defeat Saladin’s army but cannot reconquer Jerusalem. Once the fighting is over Philip travels to Wales to claim his ancestral castle, only to find a usurper in his place. The author has crafted a winning combination of period detail (dress, habit, social graces) and a very active plot. The description of how to put on one’s armour, for example, is fascinating, and the extreme discomfort of fighting in full armour in a hot climate is vividly described. When Philip enters a joust in Wales, too, all the details of the event are riveting. And you know you’re in for a lot of fightin’ when young Philip whacks someone’s head off on his way home on page 8. Philip is a very skilled warrior, and after dispatching another knight in a duel at the tender age of seventeen he is knighted by the King of Jerusalem’s High Court. There is some glorification of war and the nobility of knighthood, but the cruel futility of war comes through as well, as bad decisions and inept leadership lead to disaster in the battle of Hattin. There is also a surprising amount of racial tolerance on display, particularly among the knights who have spent many years in the Holy Land. In the first chapter Philip saves a Turk from thieves and invites him to his father’s castle for dinner, despite the disapproval of the more conservative knights. The crusaders admired and adopted many Eastern customs, such as a taste for exotic dishes and spices, fastidious personal hygiene, and a love of opulence and comfort in home decor. In contrast the stream of new crusaders arriving from England are crude, filthy and ill-mannered. And the religious fervor and intolerance of the Hospitallers and other orders is shown in a negative light; their hatred for the Turks and blind faith that God will ensure their victory leads them frequently to disaster. There are admirable, noble warriors on both sides, as well as scoundrels and tyrants. 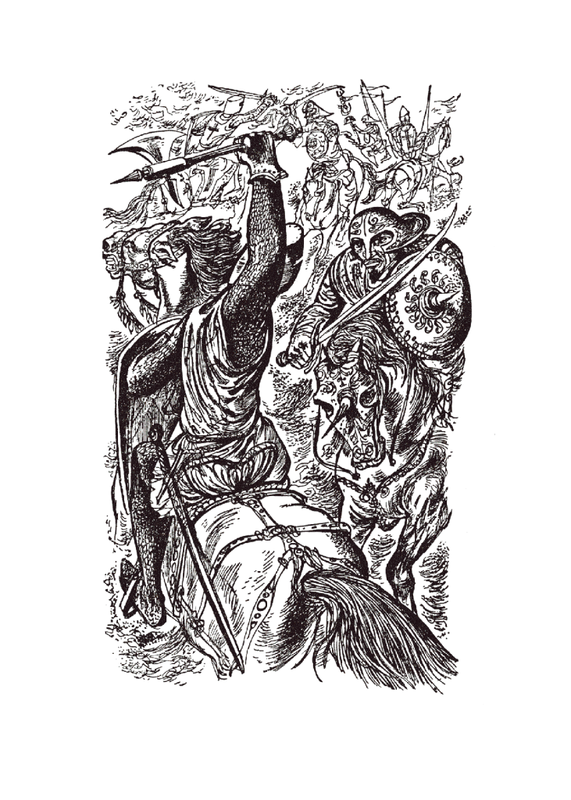 The violence of the battle scenes and personal duels (in which no mercy is shown and the combatants fight to the death) is unvarnished, realistic and rather gruesome, making this more suitable for older readers. It also requires some concentration to keep the many characters straight. Young Philip undergoes the usual coming-of-age changes, developing from a headstrong, undisciplined youth to a reserved, thoughtful warrior. The lack of female characters is disappointing, though somewhat inevitable given the setting. It is a little weird though, that there is absolutely no mention made of his mother or grandmother – it’s as if the d’Aubigny men are somehow perpetuating the family line in the Holy Land without any female assistance whatsoever. A winning historical novel about knights and the Crusades, with fascinating details of daily life and a rather modern attitude regarding the futility of war.